Psoriasis is a genetic autoimmune disease. The good news is, you can use CBD for psoriasis! An overactive immune system causes rapid production of skin cells and skin inflammation. Normally, the body produces new skin cells every month. When you have psoriasis, new skin cells grow and get pushed to the skin’s surface in 3-4 days. Since the body can’t shed dead skin cells quickly enough to keep up with this abnormally fast production, the old, dead skin cells pile up on top of each other to form red, itchy, flaky patches of skin. These are known as plaques and they can be localized, such as at the hairline, or they can cover the entire body. This autoimmune disease is believed to be genetic, and is usually triggered by environmental factors (cold weather in particular), infection, trauma, stress, and adverse reaction to medication. Psoriasis is not contagious. While there is no known cure at this time, CBD/THC therapy is a good way to control the symptoms. Psoriasis is also associated with an increased risk of cardiovascular disease, Crohn’s disease, psoriatic arthritis, lymphomas, and depression. 30% of psoriasis patients also suffer from psoriatic arthritis. The good news is you can use CBD oil to treat psoriasis, by reducing inflammation and slowing down the growth of skin cells in affected areas. CBD, THC, and potentially other cannabinoids are known anti-psoriasis agents. While the body naturally produces its own endocannabinoids, in the case of psoriasis, it’s not enough. Endocannabinoids regulate several physiological functions. The most relevant of these functions is to regulate the growth of cells, including their proliferation, differentiation, and life span. This includes skin cells. Related: check out the best skin creams with CBD. Research has found that cannabidiol has anti-inflammatory effects on human skin cells. (We touch more on that on this article). This makes it effective not only for psoriasis, but also for acne, by slowing down abnormal production of lipids under the skin, by suppressing cell proliferation, and by reducing inflammation by regulating cytokine levels. Cytokines are substances such as interferon and interleukin, that are secreted by certain immune system cells and affect other cells. But the effect of cannabinoids goes beyond suppressing inflammation. Endocannabinoid balance can be restored in the body by introducing CBD oil. This balancing effect can support the body’s natural healing mechanisms and allow cell production to normalize. Researchers found that cannabinoids help prevent the buildup of dead skin cells by inhibiting the proliferation of living cells (in other words, slowing down abnormally rapid skin cell production). Cannabinoids act as immunosuppressive and anti-inflammatory agents in skin disease. Both CBD (which can’t get you high) and THC (the psychoactive ingredient in marijuana, which can get you high) suppress the body’s immune response, which is actually important for treating any condition that arises because of an overactive immune system. There are cannabinoid receptors throughout skin cells. This makes is possible to treat a dermatological condition using systemic (ingested) and topical remedies. CBD has no adverse side effects, which makes it a desirable therapy for many people. You can use balms, salves, or creams infused with CBD, THC, or a combination of CBD/THC. 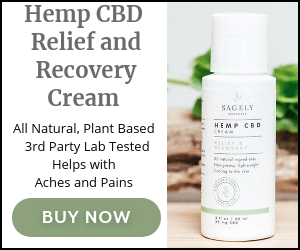 CBD balms and oils provide relief to damaged skin – but it’s important to use a CBD product with higher concentrations of THC (higher than the standard 0.3% that is found in most CBD products). If your psoriasis condition is mild, you may experience relief using low-concentrate CBDs but those with higher concentrations will be more effective. It’s important to note that while medical cannabis and edibles can help treat psoriasis, smoking cannabis can worsen the condition. If you do wish to continue smoking cannabis, use a vaporizer. It is recommended that you do not discontinue medical treatment for psoriasis immediately. Rather, use CBD in conjunction with treatment prescribed by your doctor. This may allow you to eventually discontinue the use of medicine altogether. Hey Danielle, we’re here for you!